Have you ever helped someone out of instinct, because not helping never even occurred to you? Remember how surprised you were at their gratitude? It is easy to feel like kindness and gratitude are becoming rare in the world today, but the truth is that it is all around you — you just need to learn how to see it. 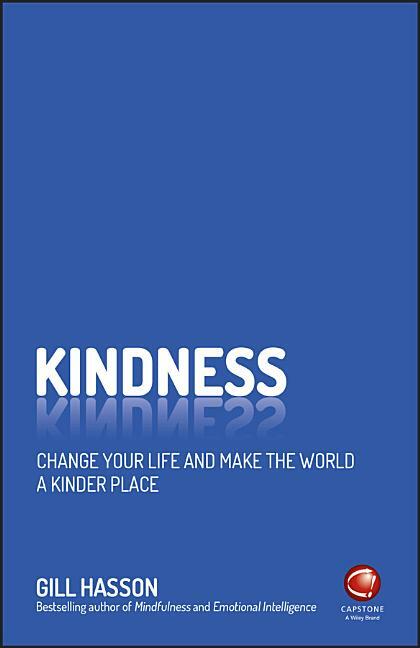 Kindness shows you how to do just that, and inspires you to take part with tips, ideas, recommendations and advice. You will learn to see yourself and your surroundings in a kinder, happier way. • See the silver lining and take care of yourself in difficult times. • Do and say kind things when you're not feeling very kindly. • Sustain the warm feelings that come from helping others. • Express kindness even when other people are rude or critical. • Enjoy self-care and treating yourself. Opportunities to be kind present themselves every day, and here you’ll learn how to notice them. Your self-esteem and confidence will grow as you discover the pure joy of helping others, and you’ll feel more comfortable allowing others to help you. In a world where kindness seems to get lost in the shuffle of worry, anxiety, aggression and worse, Kindness shows you how to bring it back into the light. Gill Hasson is a careers coach with over 20 years' experience in the areas of personal & career development. She is also?a?teacher?for mental health organisations, and delivers training for adult education organizations, voluntary and business organizations and the public sector. She is the bestselling author of a number of books on personal wellbeing, including Mindfulness and Emotional Intelligence.